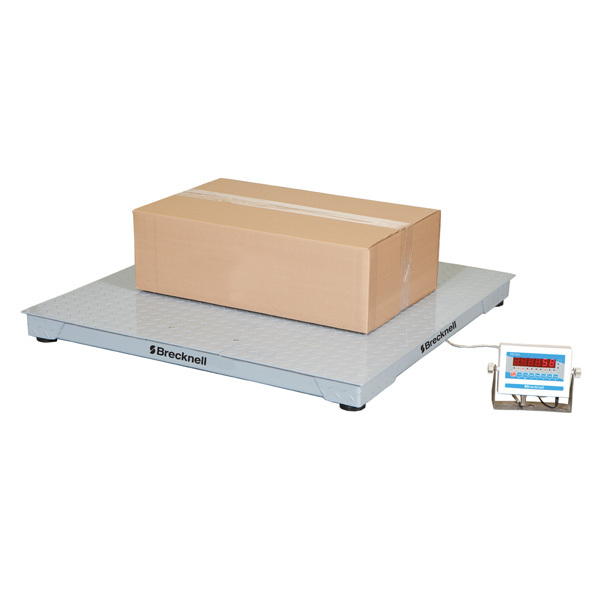 Order this combo floor scale/digital display kit and you'll be up and weighing your pallets in no time. 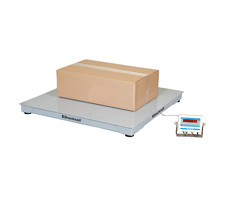 Extremely accurate and durable, this scale performs exceptionally well in applications located in tough industrial environments, including outdoor dock applications. 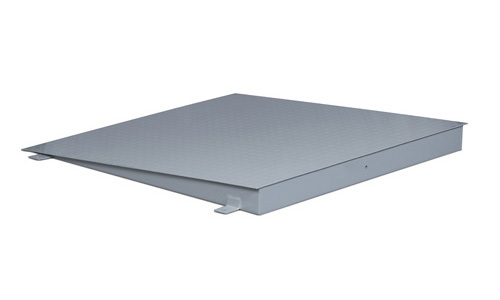 NTEP-certified "legal for trade" for 5,000 divisions, Class III use, these rugged scales incorporate a mild steel construction, IP65 rated load cells, a diamond tread plate safety deck, and a complete junction box assembly. 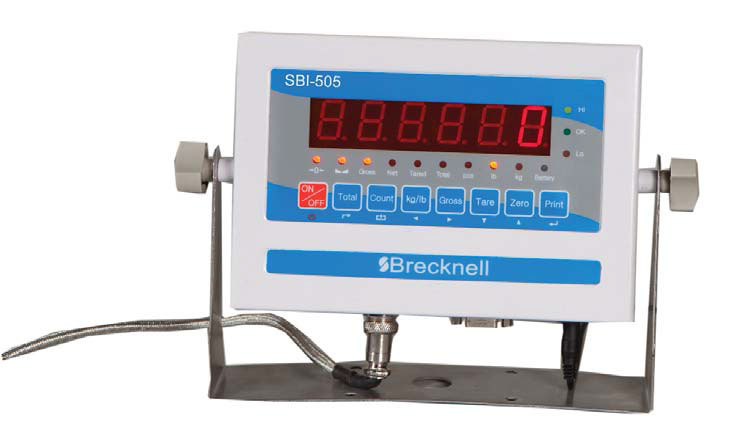 These digital scale displays are general purpose, "no frills" digital indicators housed in a painted, mild steel enclosure. 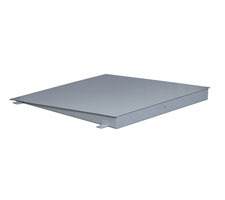 These can display up to 30,000 divisions and supply enough current for up to six 350-ohm load cells. All setup parameters may be entered via the front panel keys. These units use a female DB9 connection RS-232 serial format for communication with many types of attached support equipment. These units can transmit data on demand, or continuously in a popular data protocol to match a wide variety of printers, remote displays, or personal computers. These are metal-free bin-and-base combinations with four-way forklift entry and detachable pallet bases. Weigh your load with a pallet jack by simply pushing it up these steel ramps onto your floor scale. We use the ramp for weighing loads using pallet jacks to put the loads on the scale. The ramp is long enough so that the incline is gradual making even 5000# pallets easy to get on the scale. The ramp works well and would recommend it to anyone using pallet jacks to move their loads on this scale. 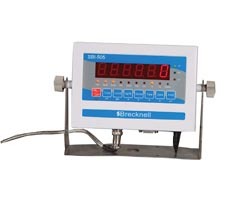 We purchased both the digital display unit and the 5000# floor scale and both work without any problems at all. Our employees find it to be a very easy scale to use. We replaced our scale in our fulfillment center. Your site was recommended to me by a friend of mine. You have an excellent web site and product line. I will be buying more items from your site and will recommend it to others in our company. I had some questions about calibration of the scale. Your service and support people were very helpful and answered all my questions I had. They were very friendly. A pleasure to deal with. Thanks Mary D.
WOW! Super buy!! I bought a different name brand scale like this a year ago and paid almost 3 times the price. These scales are a fantastic buy and are very acurate and trouble free. If there is a better deal on a scale than this, I have not seen it. I like the fact that the freight is built directly into the price. Only thing I wish is that they had a package with a loading ramp as well.